If you ever worked for a Peterson Mfg. company before, please answer the following three questions. If you have not worked for a Peterson Mfg. company before, please reply with an N/A. I understand that a pre-employment drug test must be successfully completed before further employment activity may continue. If employed, I understand that I will be subject to drug/alcohol policies and practices as are other associates. These may include but are not limited to for cause testing, random testing and annual testing. I certify that the facts contained in this application are true and complete to the best of my knowledge and understand that, if employed, falsified statements on this application shall be grounds for dismissal. I authorize investigations of all statements contained herein and the references listed above to give you any and all information concerning my previous employment and any pertinent information they may have, and release all parties from all liability for any damage that may result from furnishing same to you. I understand and agree that, if hired, my employment is for no definite period and may, regardless of the date of payment of my wages and salary, be terminated at any time without prior notice and without cause. 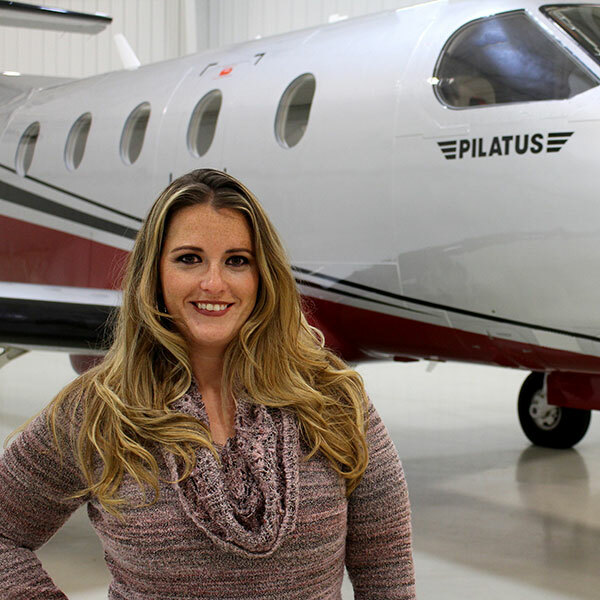 A factory-authorized aircraft sales and service center for Pilatus Aircraft and Piper Aircraft, KCAC Aviation has guided many owners and pilots through the ins and outs of private aviation. 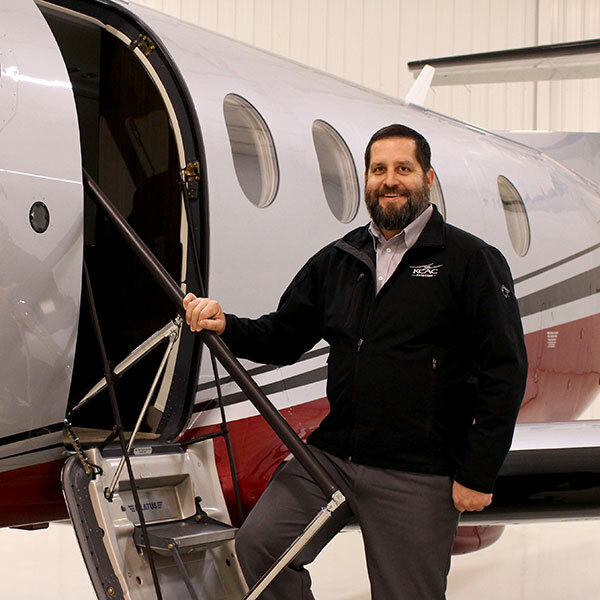 From aircraft ownership, to charter, maintenance and everything in between, the tenured team at KCAC works passionately to keep you in the air and on your way to your next business deal or personal adventure. 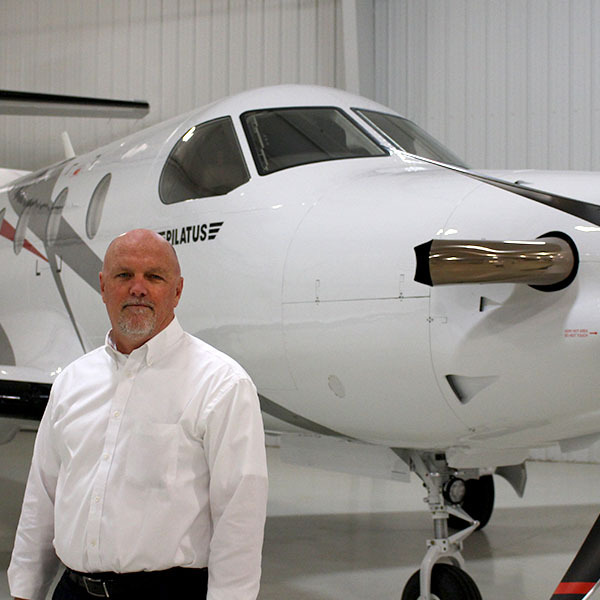 Our knowledgeable sales team understands that your choice of aircraft is mission critical. They will help you determine your mission requirements, aircraft goals and enhance your ownership experience. With intimate knowledge of Pilatus and Piper aircraft, as well as involvement with several other aircraft and equipment manufacturers, they will guide you to the best aircraft model for your needs. Pulling from years of aviation experience and personal flight hours, their expertise will help you select the best aircraft for your mission profile. 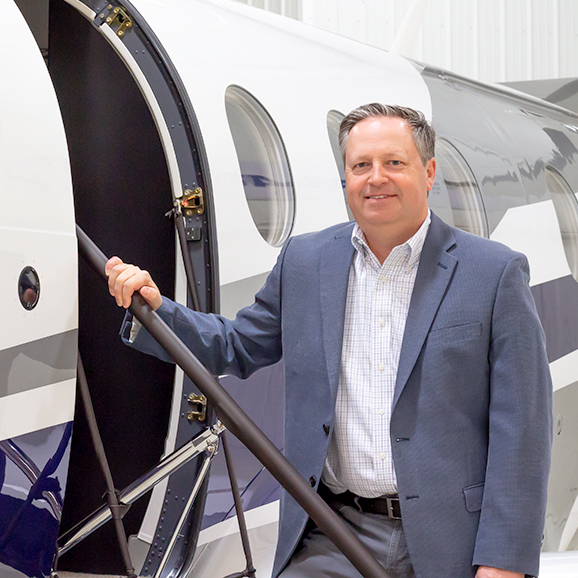 Our client relationships go far beyond simply selling an aircraft. We view our customers as partners and are here to provide guidance and assistance no matter how great or small the need. KCAC offers maintenance and FBO services to keep your aircraft at peak performance. Our team can also provide full management of your aircraft enabling you to enjoy both the benefits and excitement of owning your own aircraft while aviation professionals manage your asset. KCAC Aviation’s associates pride themselves on being best in class. Others agree, recognizing our maintenance, charter and sales programs with top industry accolades. 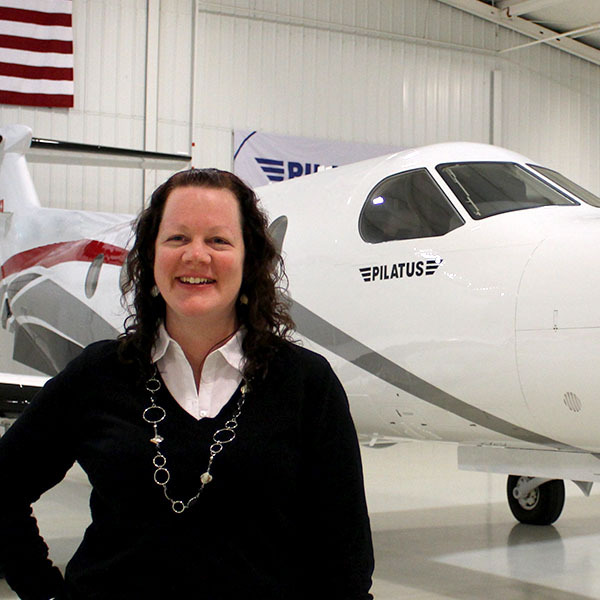 For over 10 years, KCAC Aviation has received Pilatus top sales awards and been named Pilatus Dealer of the Year multiple times. Our Part-145 maintenance team has also received the exclusive diamond certification for excellence in maintenance training. At KCAC, we look forward to putting our award winning efforts to work for you. What sets KCAC Aviation apart is our dedicated team of professionals who are constantly striving to achieve the highest levels of customer service in business aviation. From the dynamic sales team to the best maintenance team in the business, the KCAC Aviation team is ready to put their years of experience to work for you. 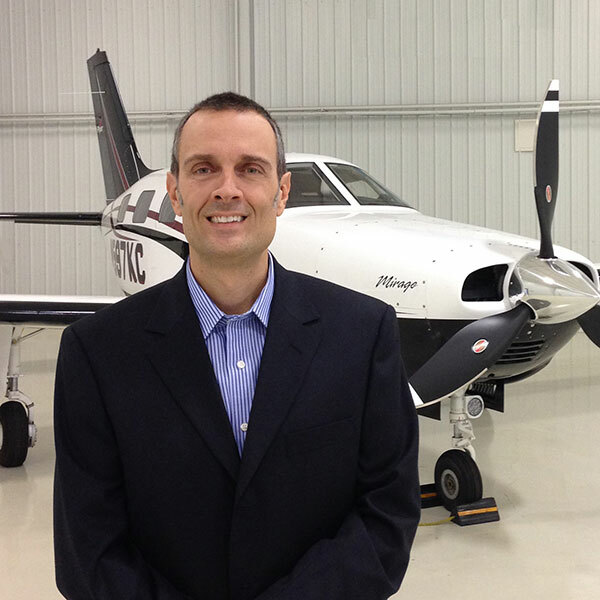 Mark has over 20 years of aviation experience and a finance and sales background. As General Manager, Mark oversees all aspects of the organization and is proud to be leading the company during its most profitable years. He is committed to building long term relationships and going above and beyond in providing excellent customer service and support. 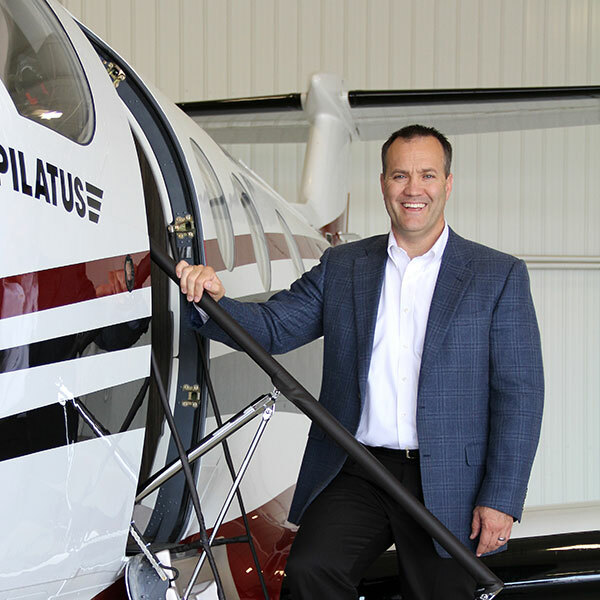 He leads the Pilatus and Piper sales teams and is passionate about providing aircraft transportation solutions for KCAC’s customers. When he is not at work, he enjoys outdoor activities, fishing and spending time with family. Tony has over 25 years in aviation, both as a pilot & manager with over 7500 flight hours. Before aviation, Tony was in the automotive industry. 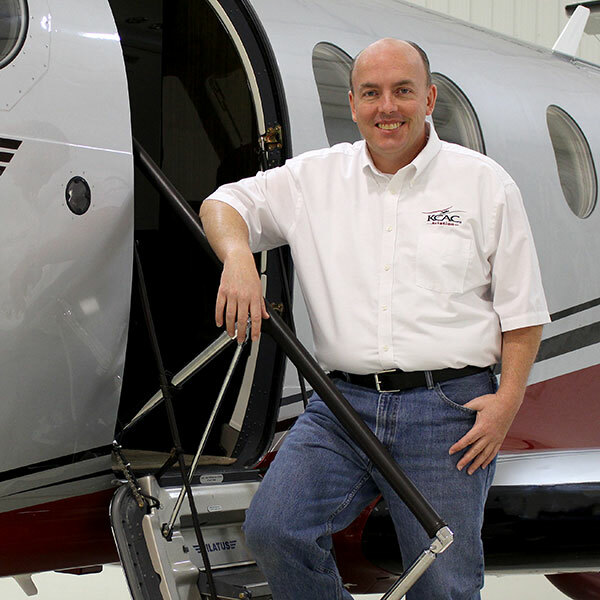 He has worked as a pilot and Director of Ops flying charter and air ambulance services for 10+ years prior to joining KCAC. When not at work, Tony can be found in the kitchen with a glass of wine cooking with his wife Anne, grilling or tinkering on basement projects. Exceptional customer service is at the heart of all of his business endeavors. 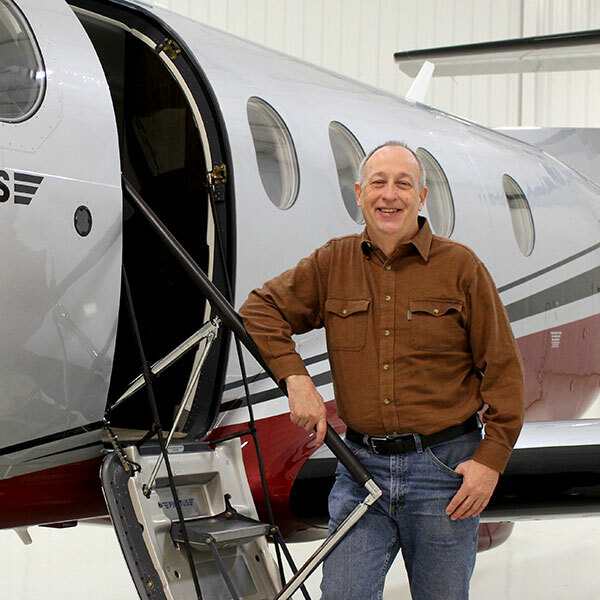 As a seasoned aviation professional, Tom brings to KCAC a diversified knowledge base of both business jets & general aviation. He supervises the maintenance team to ensure compliance with the FAA. He serves as the customer service liaison establishing & maintaining rapport with new & existing clientele. Tom’s passion is to provide a high level of service, promoting safety & enhancing the enjoyment of owners and operators. In his spare time, Tom enjoys woodworking, bicycling & snow skiing. Kiz found her passion for HR early on and has been a part of the KCAC family for nearly 20 years. Even when she worked retail prior to joining KCAC, Kiz gravitated towards the employee hiring, benefits & training side & she decided to get her Masters in Human Resources. Kiz likes the variety each day brings & enjoys working with management and employees to make KCAC an employer of choice. Outside of work, Kiz and her husband Jeff enjoy spending time with her step-daughter & extended family. Kevin has been in aviation for more than 30 years and has accrued more than 11,000 hours of flight time. 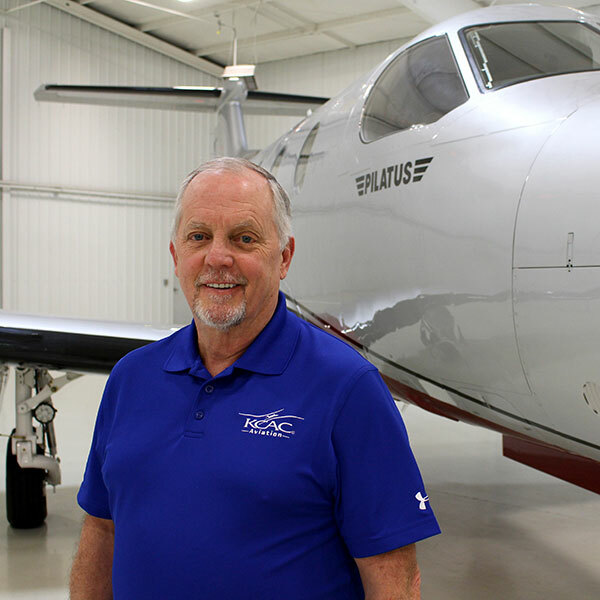 He has previously served as President and General Manager of other flight departments in the Kansas City area, but has been flying with KCAC Aviation for over 15 years. Kevin is an avid runner and wine enthusiast. When he is not at the airport, you will find Kevin spending time with his family. In Cathy’s 38 year tenure at KCAC, she started as fuel sales/ aircraft rental coordinator and has worked her way up to Charter Coordinator. Cathy has enjoyed seeing the position evolve from post-it notes and measuring with string on a wall map, to the now completely computer automated systems. Her favorite part about her job is how each trip is unique. In her spare time, she likes to cook and collect antique glass and crystal. Nicole Taber started her career at KCAC in the customer service department and was quickly promoted to Charter Assistant. Her career background includes business development, client relationship management and customer service. Nicole enjoys working day-in and day-out assisting customers with their travel needs. She has a Bachelor of Science Degree from Washburn University with an emphasis in Human Services. When Nicole is not working, she enjoys spending time with her family and traveling. 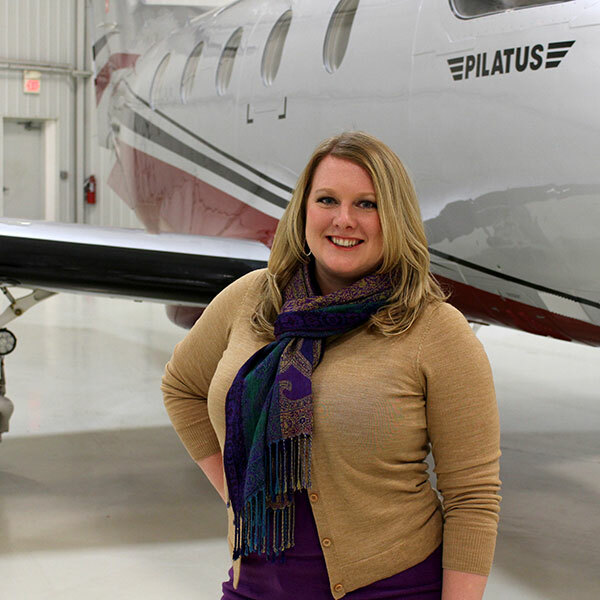 Lindsay is proud to put her 10+ years of accounting experience to work as the Controller for KCAC Aviation. 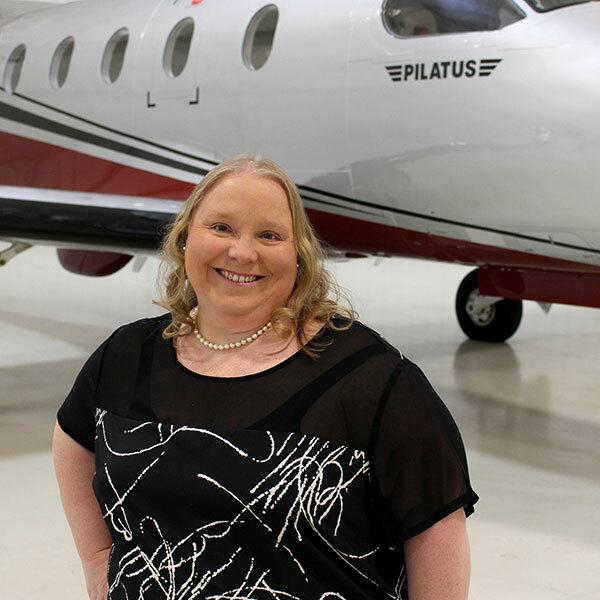 She graduated with a degree in Accounting from MidAmerica Nazarene University and enjoys using those skills within the aviation industry. When Lindsay isn’t crunching numbers, she enjoys trying new recipes and spending time with her family and friends. Bill started his aviation career in 1988 as an Apache helicopter crew chief. He went to Maple Woods Community College to earn his A & P licenses and graduated from Kansas State Univ. with a degree in Aviation Technology. He has worked in the experimental flight dept. for Beechcraft. Bill has worked for KCAC since 2004, first a mechanic & now serves as the QA Manager and Chief Inspector. Bill is the valid holder of Airframe, Powerplant, & Inspection Authorization certificates from the FAA. Steve’s avionics career started in the U.S. Navy repairing multiple military aircraft. The skill set that he acquired in the military is what led him to join the KCAC team in 2007. Outside of work, Steve has over 20 years of volunteer adventures with the Boy Scouts of America. Now that their boys are on their own, Steve has more time to help his wife with her many Pinterest projects! Jamie’s intro flight through the Young Eagles in middle school eventually led her to pursue her Aviation Mgmt. degree from the Univ. of Central Missouri. There she earned her Commercial Pilot’s License with Multi & Inst. ratings & later became an AAAE Airport Certified Employee (ACE) in Operations. 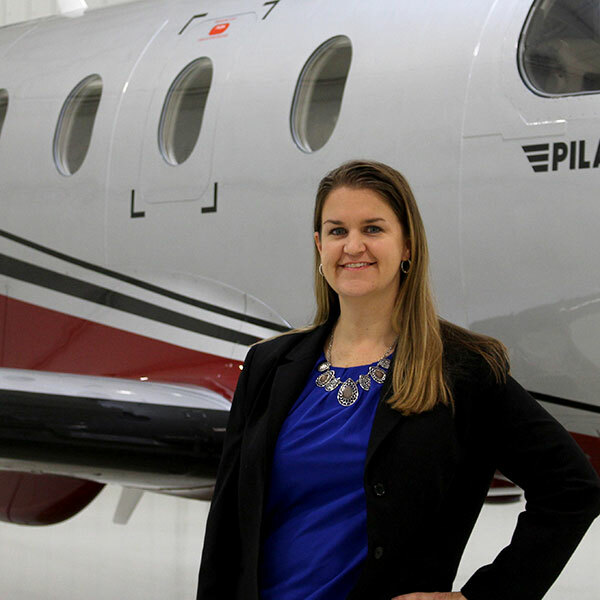 In her career, Jamie has served as a banner tow pilot in FL as well as a commercial airlines pilot. She hired on with KCAC in Jan. 2017 as the Warranty Admin & has since been promoted to her current role as Contract Administrator. Dennis has always enjoyed aviation; from building remote controlled aircraft to a career in the Air Force. 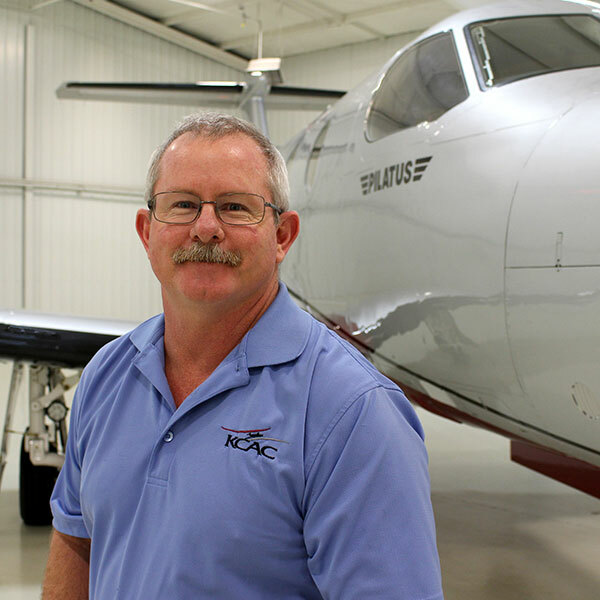 Dennis retired from the Air Force after 23 years of service and utilizes his aviation background and can-do attitude to exceed the expectations of KCAC’s customers. His favorite part of the job is taking care of the customer’s needs and the relationships his team has built with repeat customers. When he’s not at work, Dennis can usually be found enjoying the outdoors. As a kid, Carrie always loved going to air shows with her family to watch the Blue Angels perform and see the B-2’s at Whiteman AFB. Today, she puts her years of marketing experience to work for KCAC in a variety of ways, including coordination of the Great Planes Air Expo. When Carrie isn’t working, she enjoys spending time with family and traveling to wherever the next adventure takes her whether it’s hiking an active volcano in Chile or cruising the sand dunes of Oklahoma on her 4-wheeler! Are you ready to take the next step towards owning an aircraft, flying on our ARGUS Gold rated charter service or simply learning more about the benefits of private aviation? We would like to hear from you. Please fill out the contact form below and we will be in touch with you as soon as possible, or feel free to just give us a call. KCAC Aviation is located in Olathe, Kansas at the Johnson County Executive Airport (OJC). If you are looking for an exciting career in the aviation industry and are passionate about providing customers with excellent service and support, KCAC would like to hear from you. We offer a wide range of benefits, rewarding careers and a great work environment backed by our award winning team of professionals. If you would enjoy working with our team of aviation enthusiasts and desire to share your knowledge and skills with fellow customers and associates, you might be a good fit for KCAC Aviation. Please review our list of job openings and, if interested, please complete the online employment application and include a copy of your current resume. Kansas City Aviation Center (KCAC) is a full-service FBO located at the Johnson County Executive Airport in Olathe, Kansas. Our customers include Fortune 500 companies, corporate flight departments and major repair facilities located throughout the world. KCAC, among the fastest growing FBO’s in the Midwest, is seeking a Full Time Position as Pilot for Part 135 Charter Operation using a fleet of PC-12 and Citation Encore, Citation CJ3+ model aircraft. Citation and/or PC-12 experience preferred. Requirements: Commercial/Instrument AMEL, 3000 total hours with 2000 hours PIC time. ATP certification; Current FAA First Class Medical Certificate; Valid passport with the ability to travel in and out of the US. Must pass a ten (10) year background check and pre-employment drug test. Company insurance and benefits. Kansas City Aviation Center located at the JoCo Executive Airport in Olathe, KS is looking for an experienced A&P Technician to work with corporate aircraft, turbo props, twin engines and small jets. Pratt & Whitney PT-6A and PW535A experience or Williams FJ44 preferred. Also sheet metal experience needed. Minimum of 5 years GA experience. Must have own tools. Competitive salary, company paid benefits and insurance. We are an Equal Opportunity Employer.